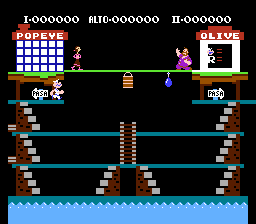 Popeye is a platforming game for the Nintendo Entertainment System. 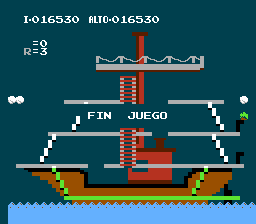 The game is based on a television cartoon show. 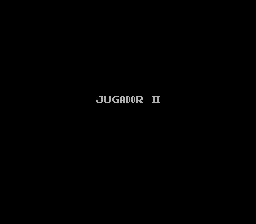 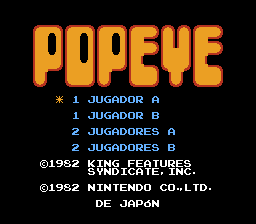 Translation to Spanish for “Popeye” for the NES.